This brush is made of the highest quality of sable hair. The flat shaped brush allows you to achieve full coverage application of foundation. Spray the brush with "Dry Quick" brush cleaner and brush on a clean paper towel - back and forth until the brush is clean. 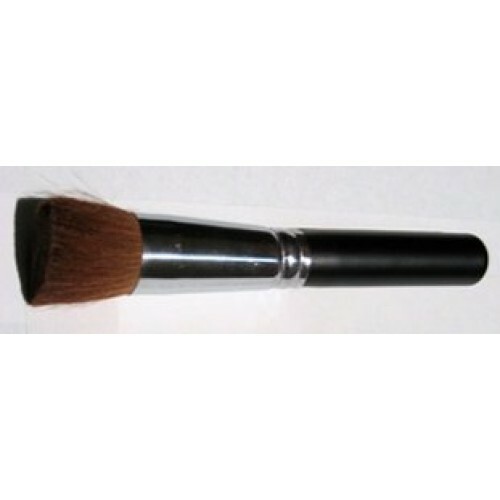 All our brushes are 100% animal cruelty-free.